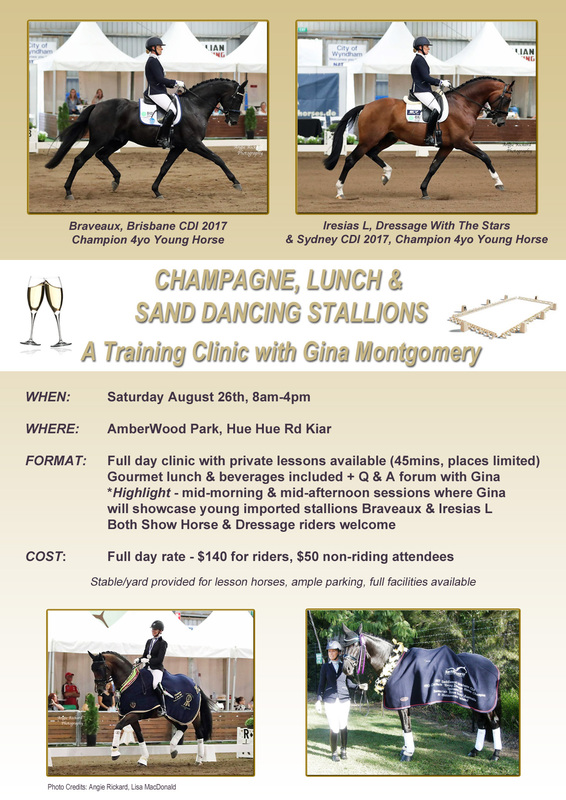 Champagne & Sand Dancing Stallions is on Saturday 26th August here at AmberWood Park. As always we had an awesome time at the Young Dressage Championships. All the horses were super this weekend and Chloe, Amanda & Sarah achieved some greatgoals. Hemmingway made his debut at Medium level & what a debut it was with him taking out the Champion rug! Wallmeyer was also trying his hardest in Young and we were simply thrilled with Champion Big Tour!! Wallmeyer now a Big Tour Champ - who would have ever thought it!! Hemmingway II, proudly owned by Mayling Siderus-Hau, shows his good form & health!